Witnesses say a man shouted "Britain first" as he shot and killed a member of the British Parliament on Thursday. 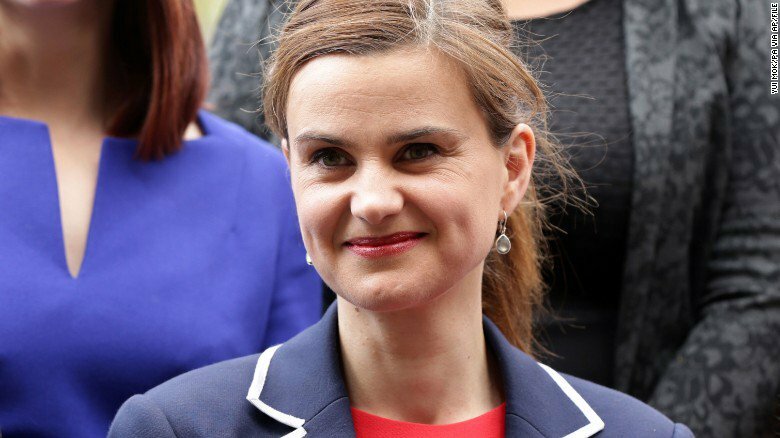 Jo Cox was a 41-year-old member of the British Parliament. She opposed Britain's exit from the European Union. The former aid worker was known for her support of immigrants' rights and Syrian refugees. She was the mother of two children. Jeremy Corbyn is the Labor Party's leader. He called the attack "a horrific murder." Cox was shot, stabbed and kicked on a street in her home district of West Yorkshire after she left a town meeting at a library. Gun attacks are rare in the United Kingdom. A 52-year-old man was arrested nearby. Police say they are not looking for anyone else in connection with the murder. British citizens will vote on the country's status in the European Union on June 23. Politicians and voters have been debating the merits of leaving or remaining in the European Union for months. The issue is known as "Brexit," for "Britain's exit." Both sides agreed to suspend their campaigns after hearing news of Cox's death. British Prime Minister David Cameron was in Gibraltar when he heard the news. Gibraltar is a British territory on the south coast of Spain. He called Cox's murder "absolutely tragic and dreadful news." Cameron wants Britain to stay in the EU, but the BBC says British citizens are evenly split on the issue. Cox was elected to her position in 2015. The European Union stopped approving new genetically engineered crops in 1998. He raised some proposals to reform the Labor Party. We are going to vote on the plan. Police are holding two men in connection with last Thursday's bank robbery. 1.The former aid worker was known for her support of immigrants' rights and Syrian refugees. Qimen is well known for its black tea. This town is known for its handiwork. 2.Police say they are not looking for anyone else in connection with the murder. They may be looking for people who were seen on the march. Stop looking for the perfect job it's just a fantasy.